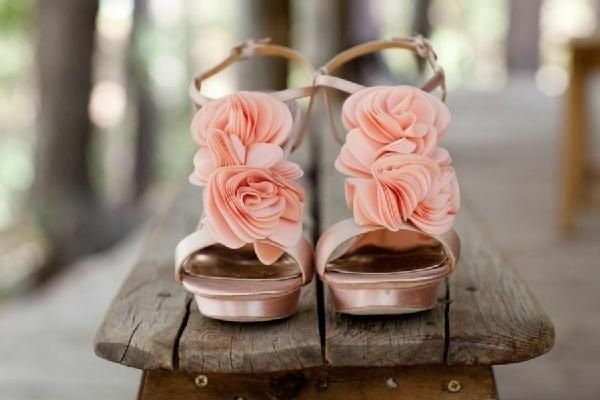 Peach ideas for your wedding!! Let's start our week with a romantic wedding in shades of peach. A spring and summer color that can be combined harmoniously with the green, white or light pink if you wish. It is a color, which can be characterized as “safe” choice. Why is not too bright, is calm in the eye of the guests and so easily accepted. Turns out a very cool and youthful result enpo appropriate to put large amounts of this color if you want, your wedding. There is no need to be subtle touches but you can add volumes to your tables, flowers or decoration. A beautiful color with very romantic effect!